In response to my post about my quest for a new laptop bag, Bob suggested the Jack Bauer manbag as something to consider. I followed the links and found the Rothco Classic Messenger Bag at CampingSurvival.com. The price was right, so I ordered it. I also ordered the Odessa Retro Messenger Bag, because it was cheap and looked like it might make a nice supplementary bag for when I’m riding around on my bicycle. Both bags arrived yesterday, and while they’re both decent enough bags for the price, they both have just a few shortcomings. 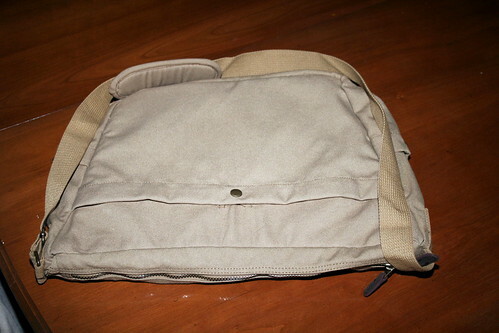 The Classic Messenger Bag (hereafter referred to as the Jack Bauer manbag) provides a single main compartment, along with two small pockets covered by the flap and two small pockets along each edge of the bag. There is no padded section on the webbed shoulder strap, but it seemed comfortable enough in the little time I slung it over my arm. 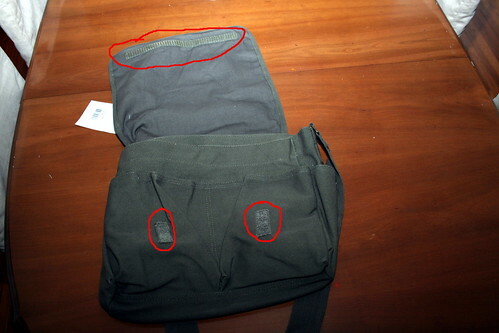 There is no padding whatsoever inside the bag, so it likely would not do for any long-term travel with a laptop inside. The flap itself has a single long piece of Velcro along the length of the flap, but the interior pockets have vertical strips of Velcro. This doesn’t provide much surface area for the hook-and-loop fasteners to make a strong connection. Moreover, it seemed to me that the perpendicular orientation of the strips made it hard for the hooks to grab the loops, and the flap never really felt secured. It was extremely easy to open the flap, and I worry that the flap wouldn’t be sufficiently secured to keep stuff inside. I honestly wonder if perhaps this is a manufacturing defect on the bag I received. 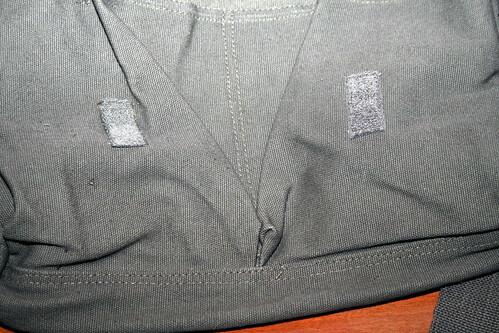 It makes no sense to me why such a long strip of Velcro would be used on the flap, and then such small pieces would be so poorly positioned on the inside. The Odessa Retro bag does not have a flap, and instead has a zipper along the top that closes the main compartment. 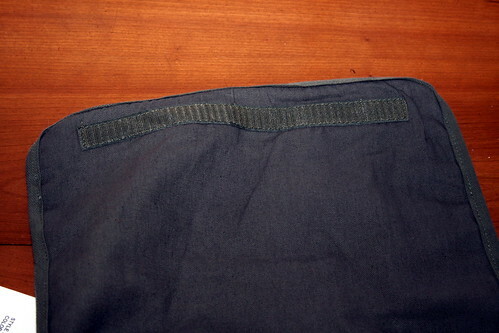 There is a large exterior pocket on the back side of the bag that is fastened with a single button, two smaller front pockets with buttons, and two even smaller pockets along each side with buttons. The webbed shoulder strap does have an adjustable padded section for greater comfort over time. 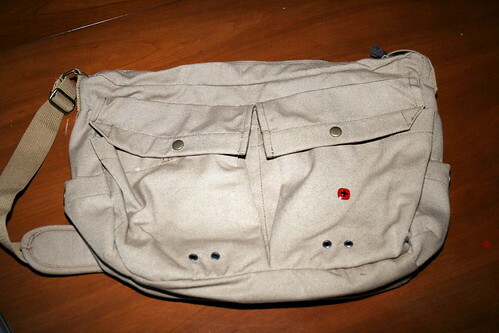 The shoulder strap is adjustable in length, but there’s not much length to it. I’m a tall guy, and it sits comfortably enough, but I would really like to have a little more slack available. 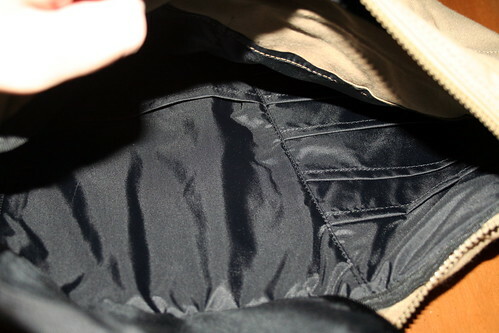 The interior compartment has a number of smaller little pockets along one side, which look like they’d be handy for the variety of small accessories I would like to take with me: extra batteries, battery charger, USB sticks, etc. None of the interior pockets fasten in any way, though, so there’s a good chance stuff might spill out into the main compartment. I would actually prefer this bag over the Jack Bauer manbag for carrying my laptop, except that the zippered opening doesn’t easily fit my laptop! I can work it in, but it’s not easy. I don’t want to wrestle with my bag to get access to my laptop, so I don’t expect I’ll be using this unless I get a smaller laptop.